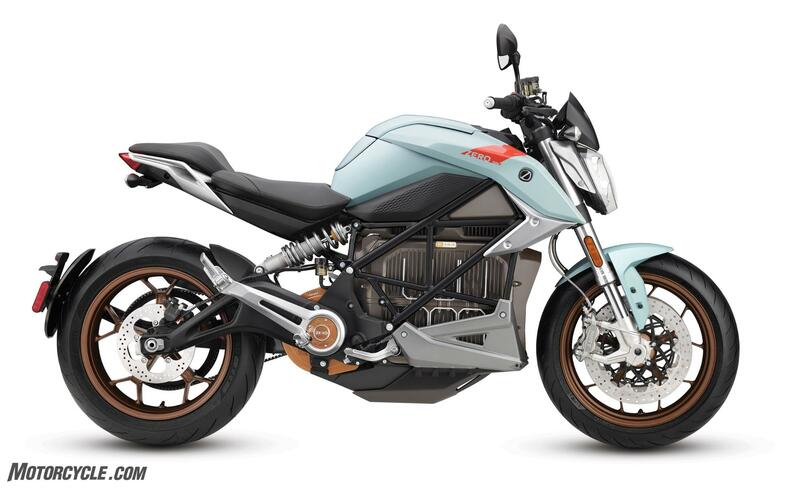 Here at MO, we’re pretty excited about the 2019 Zero SR/F. With it, Zero has given us the third generation of its electric platform. 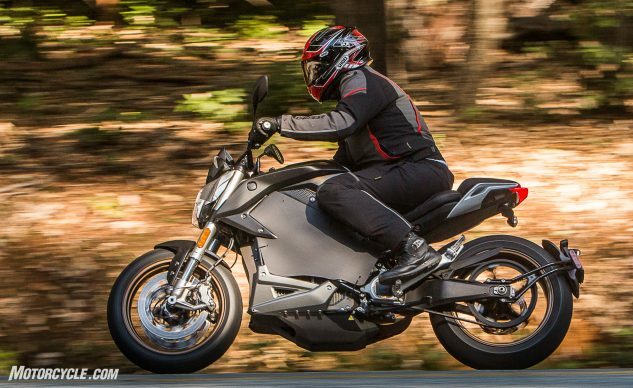 In reality, however, this is the first time that Zero has delivered a full-sized-feeling electric motorcycle. After 13 years, Zero’s engineers say they finally have the tools to create the type of electric motorcycle they wanted to build all along. 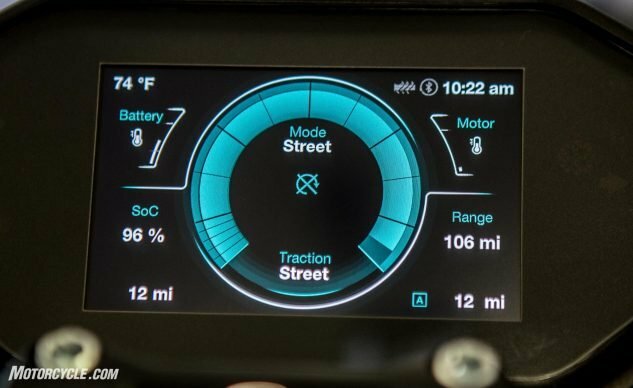 While electric motorcycles are still an extremely young technology, the fit and finish of the SR/F show that it is leaving infancy behind and moving beyond the bleeding edge of early-adopter status into the realm of everyday usability. 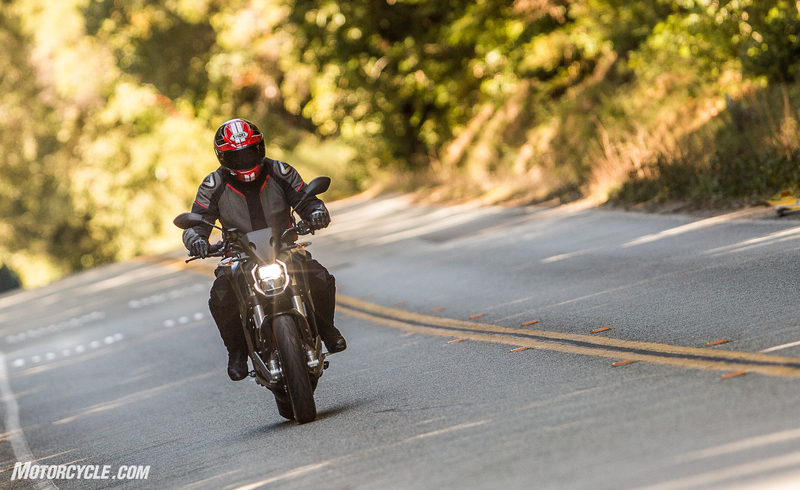 Read on to find out what differentiates the Zero SR/F from its earlier siblings. 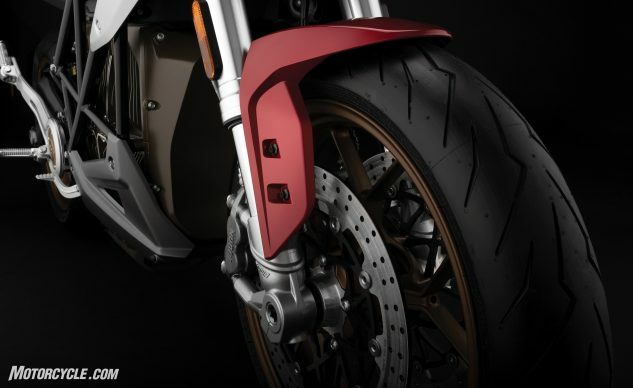 After two generations of Zeros that were primarily dictated by the development of the technology necessary to power a motorcycle with electricity, Zero took the opportunity of the third generation bike to fully integrate the styling and technology, giving the SR/F a more unified appearance. 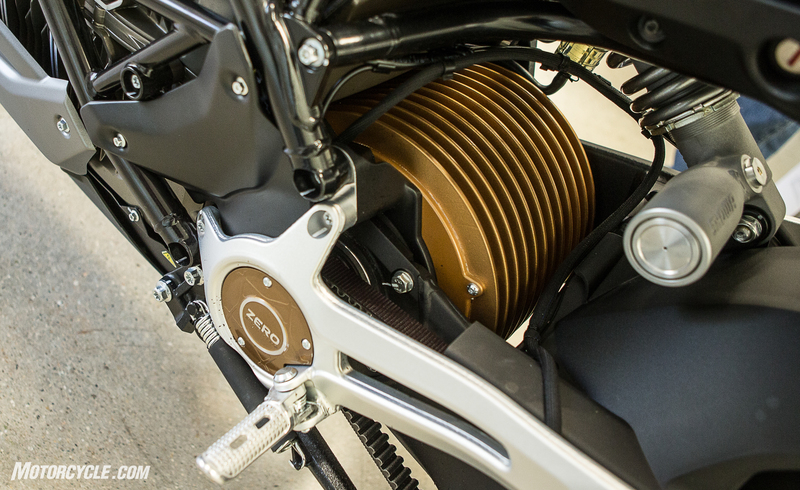 The result is an electric motorcycle with a fit and finish comparable to major OEMs. 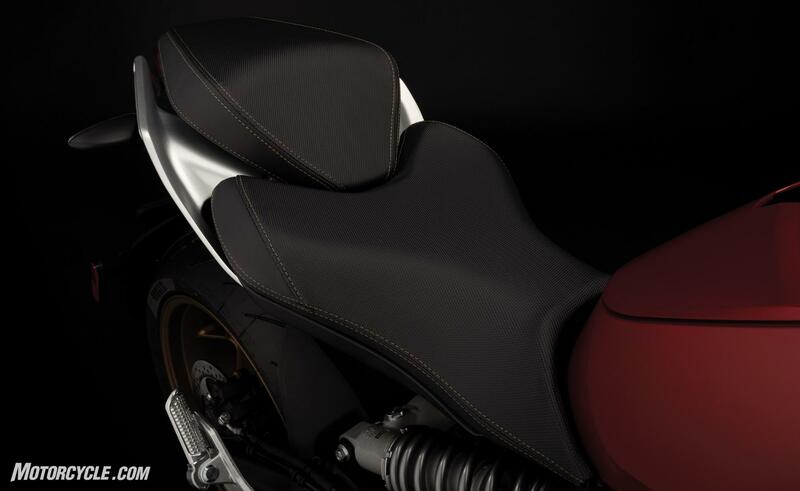 According to Zero, one of the most frequent requests from riders of the previous generation bikes was for a lower seat height. With the SR/F, Zero gave three options. The standard seat is 31.0 in – 0.8 in. lower than on the previous SR. Accessory 31.9-in. and 30.3-in. accessory options are available. The front and rear tire sizes grew from the previous generation. 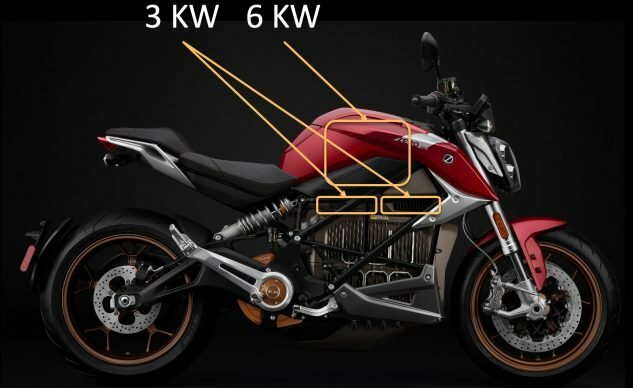 This not only affects the styling, making the SR/F look more muscular, but the bike feels a little more planted on the road. The result is a motorcycle that provides sportier, full-sized bike handling. The tires are Pirelli Diablo Rosso III in 120/70-17 and 180/55-17, front and rear. Although the cast aluminum battery box is an all-new item, the actual battery cells it contains are unchanged. The 14.4 kWh, Z-Force Li-Ion intelligent integrated battery pack also received cooling fins to help the pack shed heat evenly, assuring a more uniform temperature across the cells in the battery box. Since approximately 90% of the EV charging stations in the US are Level 2, Zero eschewed Level 3 DC Fast Charging in the SR/F. Instead, the designers focused on providing options for the fastest Level 2 charging possible. The standard SR/F receives a 3kW Level 2 charger, which completely charges the battery in 4.5 hours. The 6kW option included with the Premium SR/F cuts the time even further, to 2.5 hours. Finally, a 6kW Charge Tank option will be available later that, when combined with the Premium’s 6kW, can deliver a total of 12kW of charging capacity. If the charging station can handle the load, the recharge time drops to 1.5 hours. When things get bigger, they tend to weigh more, and the same is true of the SR/F. The new battery box, motor housing, and bigger wheels/tires bump the claimed weight to 485 lb. for the standard SR/F and 498 lb. for the Premium. For comparison, the previous generation SR weighed in at 408 lb. in its standard configuration. Since the SR/F battery’s capacity remained the same as the SR’s and the weight increased, we shouldn’t be surprised that the range dropped. In the case of the SR/F, approximately 10% of range was lost. 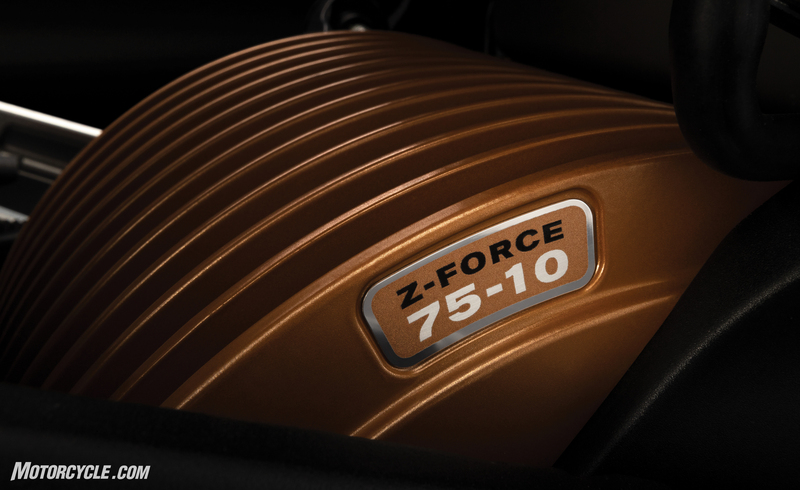 The SR/F’s motor had its output bumped to 110 hp and 140 lb-ft of torque. Part of this increase comes from the motor controller being able to deliver 900 amps to the motor. The previous generation could only deliver 750 amps. So, that is quite an increase. To make sure that the battery is able to handle the load, it has enough built-in overhead to handle 1,200 amps. 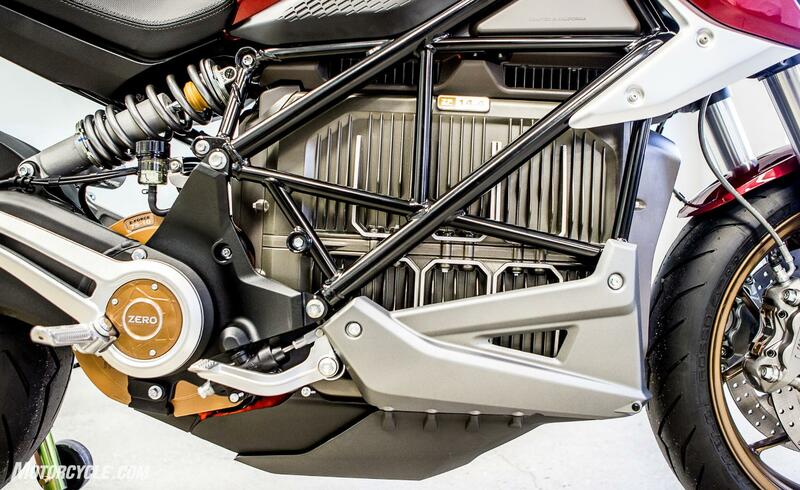 We’ve already noted that the fins on the battery box help to shed heat. Additionally, sandwiched between the cells themselves and the box is a thermal transfer pad that assists in getting the heat to the cast aluminum of the box where it can dissipate into the air. Similarly, the internals of the motor are potted with thermal transfer materials that provide a more efficient path from the heat-producing copper windings on the stator to the motor housing. Also, an air scoop under the battery box directs cooling airflow over the motor controller and the radial cooling fins of the motor housing. The result is a motorcycle that was capable of running in the 120° heat of Death Valley and the extreme loads of the race track. Who doesn’t like the availability of more speed? With the new motor in the SR/F, the top speed jumped from the SR’s 98 mph top speed to the SR/F’s more than 25% improvement to 124 mph. The top sustained speed, meaning the speed you can run until you run out of juice in the battery, is still a respectable 110 mph.